A lot of times, I don’t give my hair enough credit for how much it has grown. 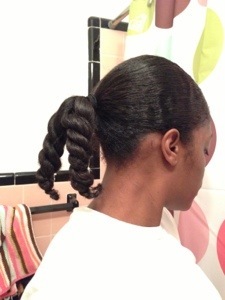 I remember when I first cut it off in July 2011 and my main concern was that it was long enough to put into a ponytail. Truth be told, I hated the way I looked with short hair. That was never a secret. I look back at pics from when I first cut my hair and I cringe. Yeah, short hair works for some people, but it’s not for me. I can guarantee that my hair will never be that short again. I decided to finally put a few pics together to acknowledge my progress over the last year and 4 months. I’m kicking myself for all of the trims I’ve done during that time period. I can only imagine how much longer my hair would have been it I wasn’t so scissor happy all of the time. Come to think of it, my hair may have been extremely damaged if I didn’t, so I guess all isn’t lost. 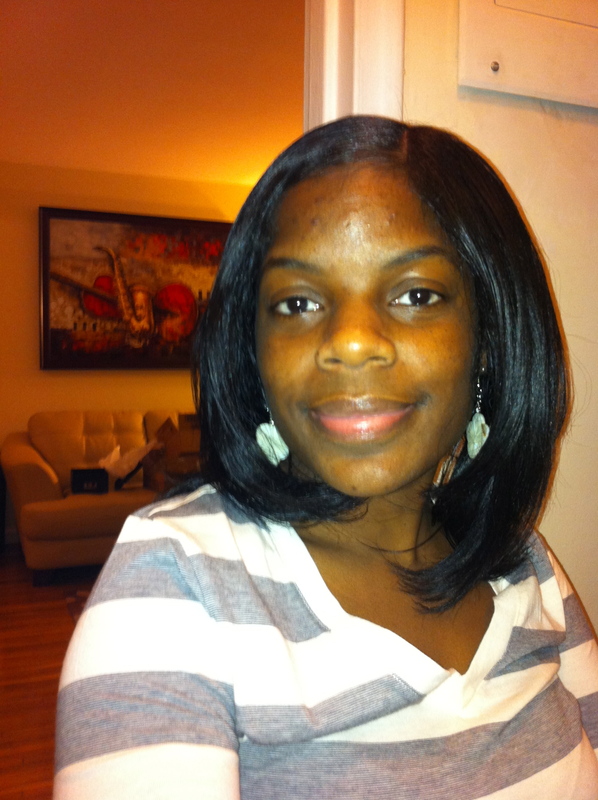 My first day with all natural hair. Relaxer free! 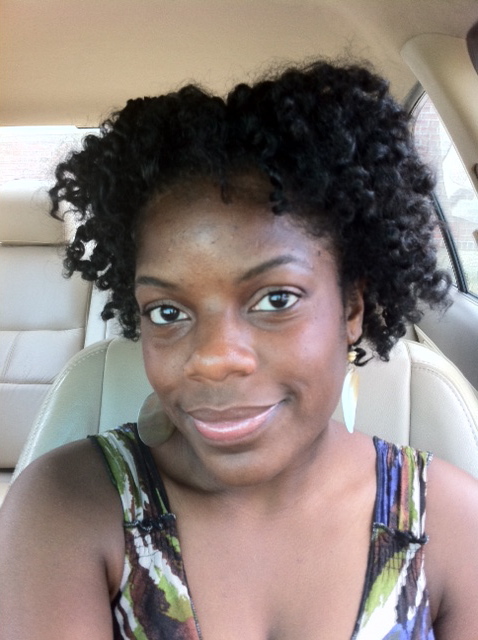 July 2011 – BIG CHOP! Simply beautiful. My hair grows so slow. 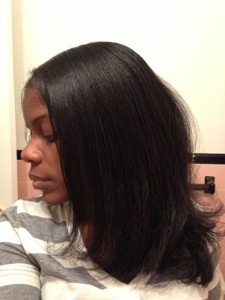 I have been natural for 3 years and my length is still the same. Can you give me some pointers to promote growth? I keep it trimmed every 6-8 weeks. Help!!!! Maybe you’re trimming too often? Definitely keep your hair moisturized. Find a moisturizer that your hair absorbs. Some people confuse moisture with grease. 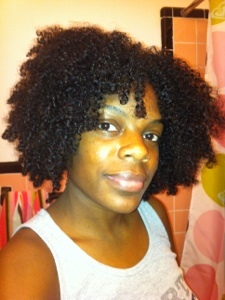 Your hair should feel soft and supple after you moisturize it, not just like there’s grease sitting on top of your hair. Also don’t manipulate your hair too much. Commonly people comb their hair dry, especially after air drying. I’d stay away from that. Thanks Rece, I will try that. 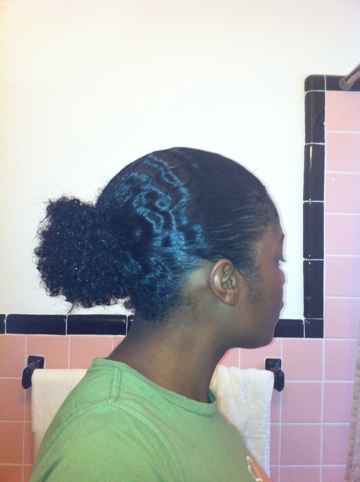 I niticed however when I dont trim my hair, it doesn’t curl right and my twist outs are looking as great. Nonetheless, I will give it a try. Yea!!!!! I like the length it is now!! It suits your face at chin length curly. It’ll look great longer too:)!! But, you still looked great after your BC too:)!! I need you to put a back puff side by side comparison. I remember you did that once and the change in your puff size was huge!! Looking good Ms. Rece!! 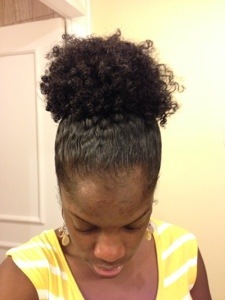 I’ll work on the side by side comparison of my puff. 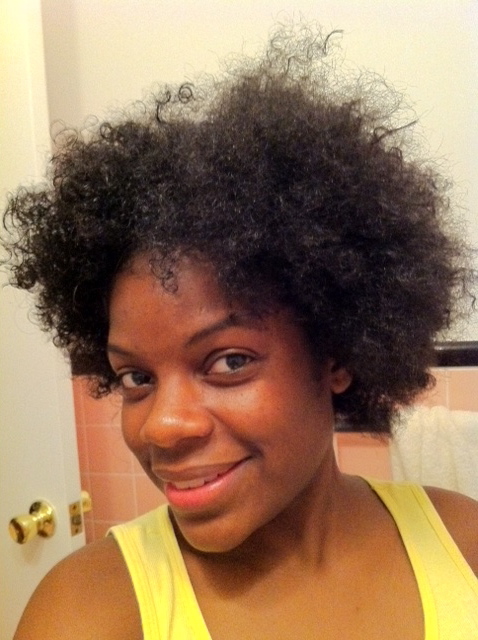 I feel like my shrinkage makes it impossible for me to compare my hair other than when I first cut it. In its curly state, it always looks the same length. We’ll see. I really did hate that short hair. Lol. I’m trying hard not to trim/cut my hair. It’s extremely hard tho! Your hair has really grown! Looks great.